Return To Us By Email. During your initial appointment your Practitioner will go through your full case and medical history in detail – your current symptoms, how they impact on you day-to-day, and about any previous health issues including any current medication you may be taking. With a full picture of your health goals, we will develop a treatment plan with you, and get you started with your first acupuncture treatment. Your individual treatment plan will include an estimated timescale, and number of sessions required. Once your particular pain is gone, we then reduce the frequency of follow-up visits, and prepare you for finishing treatment. Some patients enjoy regular “tune-ups” to maintain good health and keep you active and feeling great. This is purely a personal decision though. 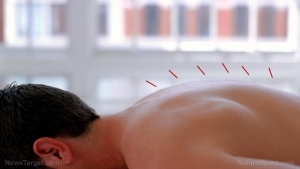 The benefits of acupuncture are cumulative, therefore more than one treatment is necessary. For acute conditions you can expect to have 4 – 6 treatments, but you will usually begin to feel relief after just the first few. Chronic health conditions may take longer to respond, depending on the type, severity, and duration of the condition. Preventative treatments and treatments for general well-being may also be scheduled on an as-needed basis. Acupuncture is not a miracle cure. While you may get instant relief from taking medication or drugs they are usually just masking symptoms and not actually treating the underlying cause of illness. Through our careful questioning and probing we aim to determine the underlying pattern of disharmony and then promote the body’s innate healing capabilites to restore balance and health. Unlike drugs and medication there are no nasty side effects. Results may vary. Information and statements made are for education purposes and are not intended to replace the advice of your doctor. JM Complementary Health does not dispense medical advice, prescribe, or diagnose illness. The views and nutritional advice expressed by JM Complementary Health are not intended to be a substitute for conventional medical service. If you have a severe medical condition or health concern, see your doctor.